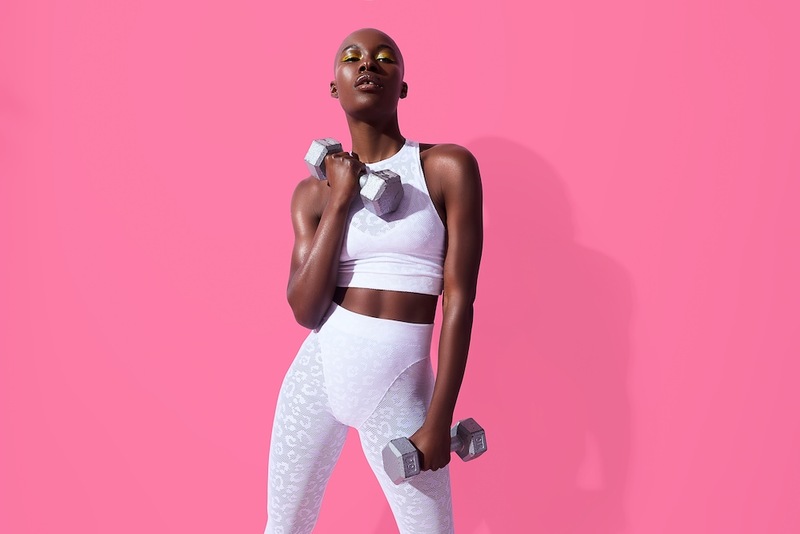 Your workouts just got way chicer, as Carbon38 announces the launch of Adam Selman Sport. Adam Selman Sport is an active-focused sportswear line comprised of pieces that merge performance and fashion. The collection is designed for an active metropolitan lifestyle, taking its wearer from deadlines to deadlifts, from sit-ups to sit-downs, and from working to working out. The designer’s first sport collection is inspired by American sportswear from different eras and features extended sizes from XXS to XXL and a range of unisex offerings. In addition, the core active styles from the line are created sustainably using recycled nylon and polyester. Consumers can expect activewear with the same fun, bold attitude and playful energy of Selman’s previous collections, but with a sporty twist. “With the collection, you can really see the range of designs, and his take on pieces like an easy to slip-on cocktail dress or a dance thumb-loop inspired turtleneck unexpectedly bends the rules. I’ve never seen such a fresh take on leggings - the sheer paneling and tights take it that final mile, so when you see it, you think 'Of course Adam did that. '” Katie told us. To shop the collection visit carbon38.com.